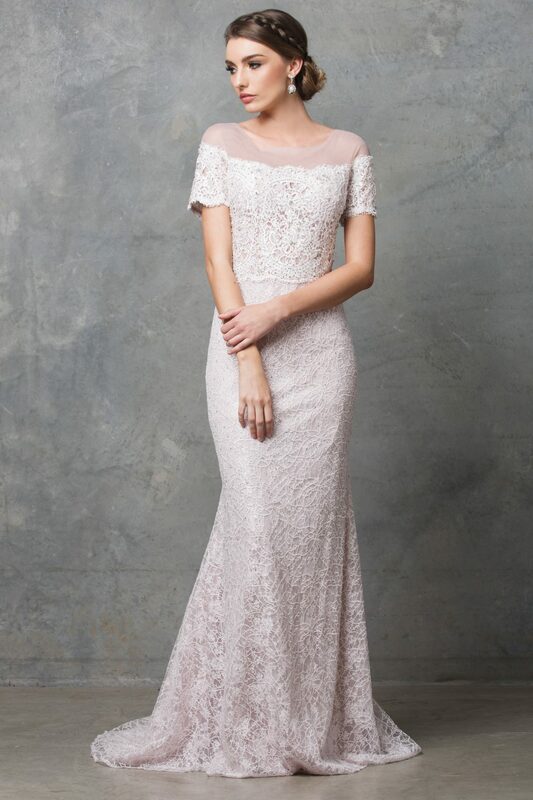 Milisandra lace off shoulder destination wedding dress is stylish and sophisticated featuring embroidered lace and a mermaid silhouette, perfect for a garden wedding. 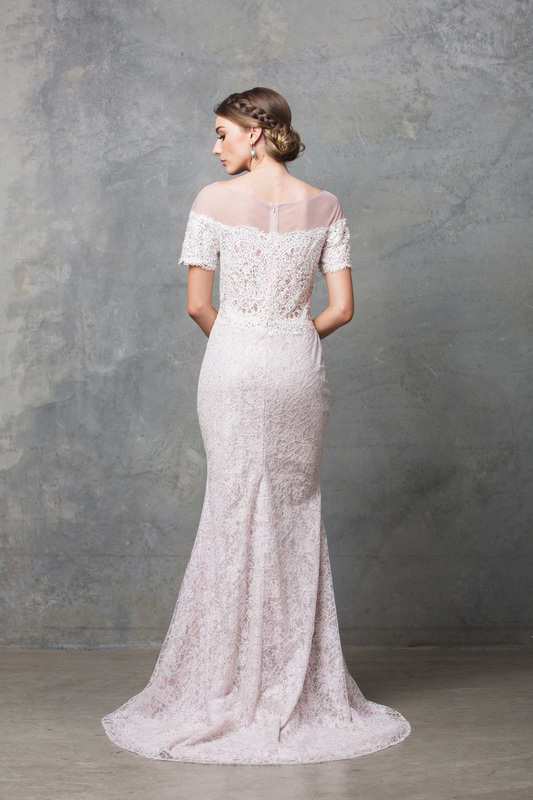 Ultra modern is the Milisandra lace off shoulder destination wedding dress featuring embroidered lace over a soft lace for the fitted skirt and a lace applique for the sheer based top encrusted with diamonds and crystals. 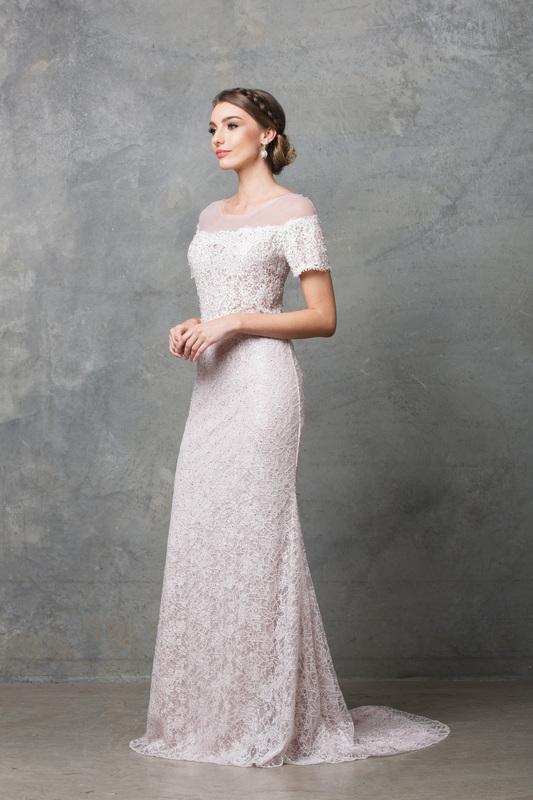 This stunning dress has an illusion off the shoulder neckline with sleeves.